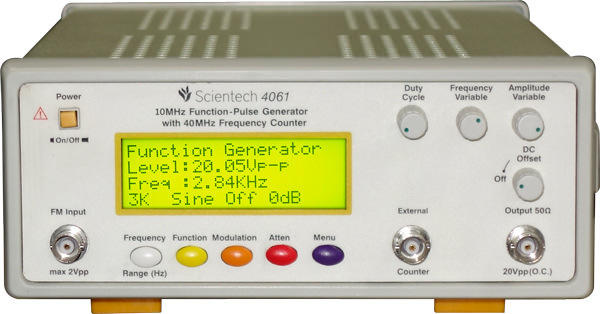 Scientech 4064 is a high performance 10 MHz Modulation Function- Pulse Generator. 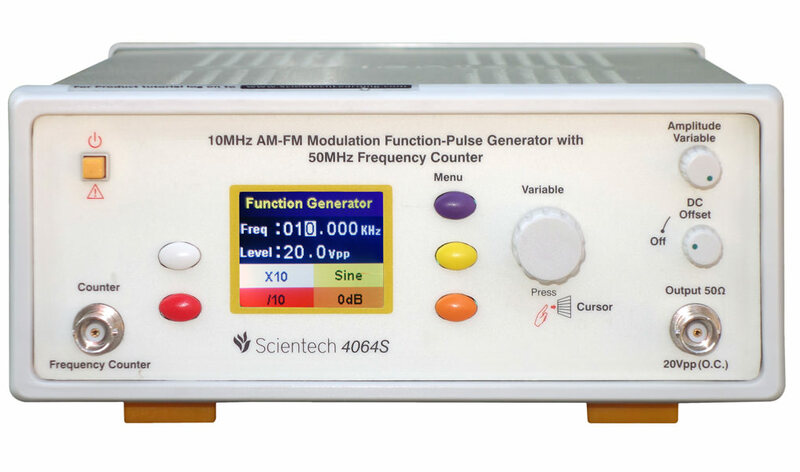 Scientech 4064 can provide different types of Modulated signals like - AM standard - AM balance - FM - ASK - FSK - PWM and also a Serial Data Output. 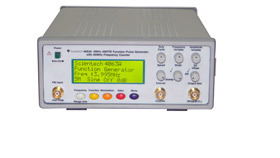 The Microcontroller based Menudriven electronic switching for Functions, Frequencies, Attenuation and Modulation with bright backlit Liquid Crystal Display helps in easy selection of parameters. 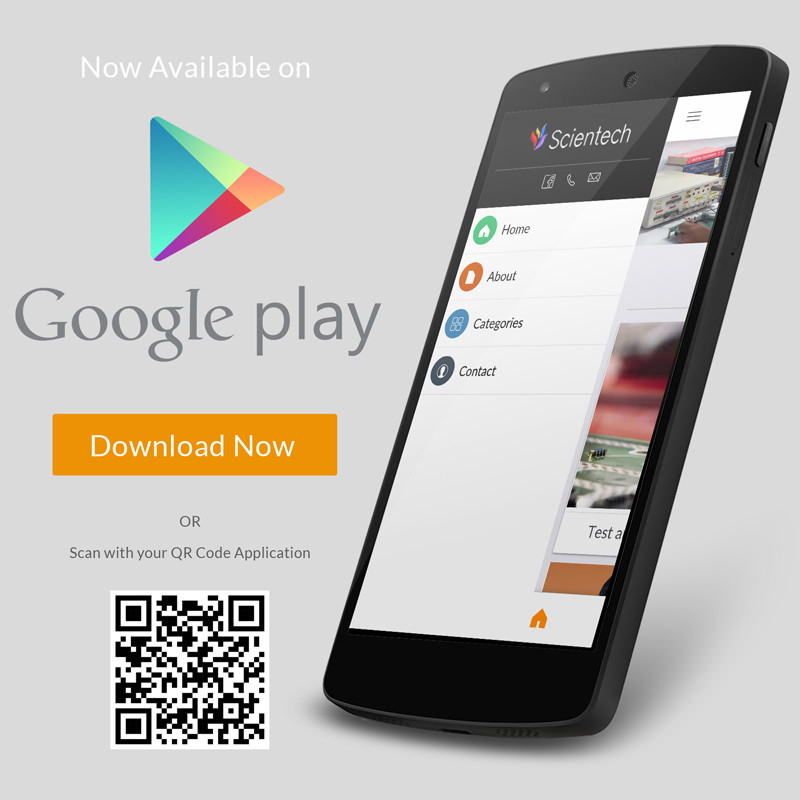 The new Scientech 4064 is a good ideal choice for Modern Electronic Laboratories.